Thieves’ Kitchen have been releasing creative progressive music since 1999. Based in both Oxfordshire (UK) and Stockholm (Sweden), the band have toured in the UK, the US, and Europe, and have released six critically acclaimed albums to date. We hope you enjoy exploring our website. We don’t update it as often as we’d like, but we are busily, happily, working on our seventh album, due for completion in Summer / Autumn 2018. 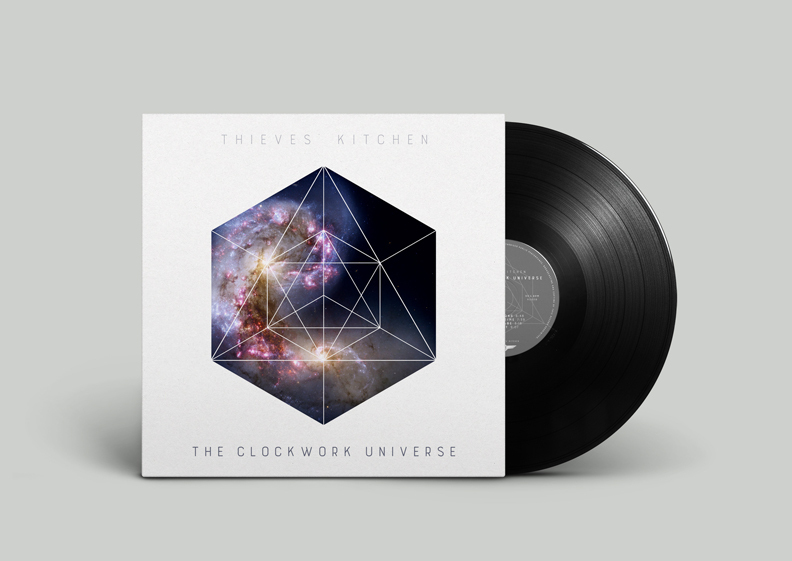 Our 2015 album The Clockwork Universe is available worldwide from The Merch Desk. The Clockwork Universe is an album exploring the human experience of a complex world. These are songs about people whose experience brings them into contact with a universe of science and learning, whether as a child (Prodigy), a neglected spouse (The Scientist’s Wife), young lovers (Library Song) or as a bystander confronted with the inexorable progress of industrialisation (Railway Time). Two exquisite instrumental arrangements (Astrolabe, Orrery) bring to mind a bygone age of scientific exploration, and the candlelit solitude of the seeker. The music is intelligent, substantial, dynamic and harmonically unconventional. 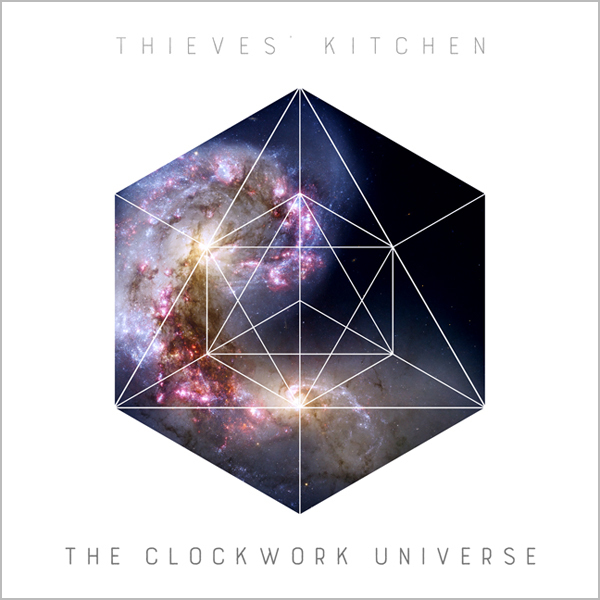 Thieves’ Kitchen continues to display the inquisitiveness and sense of musical adventure seen in their previous album, One for Sorrow, Two for Joy. The band are thrilled to welcome a new bassist to the team. 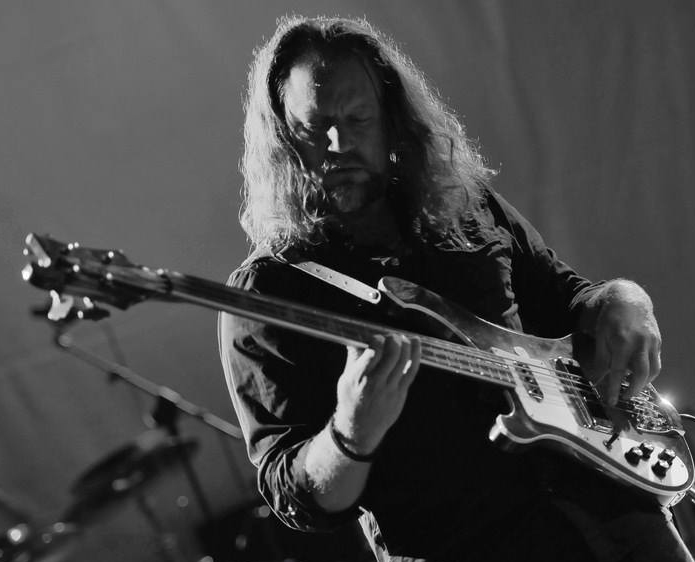 Johan Brand, of Swedish progressive rock legends Änglagård, brings his expressive style and powerful bass tone to the newest Thieves’ Kitchen release. The passion and dynamic range characteristic of Johan’s playing fits so well with the Thieves’ Kitchen sound, making this the most exciting line-up the band has ever had. Thieves’ Kitchen’s creative core is vocalist Amy Darby, guitarist Phil Mercy and keyboard player Thomas Johnson. Joining them once again are friends and previous collaborators: flautist Anna Holmgren (of Änglagård) and drummer Paul Mallyon (formerly of Sanguine Hum) both make a welcome return, and have become an integral part of the band’s unique sound. The Clockwork Universe was written and recorded in England and Sweden, and was mixed and mastered by Rob Aubrey at Aubitt Studios (IQ, Asia, Big Big Train). Thieves’ Kitchen are delighted to be releasing this latest album as an LP through Plane Groovy. As with One for Sorrow, Two for Joy, the music has been specially remastered to complement the format and is evidence of Thieves’ Kitchen’s dedication to producing the highest quality dynamic sound for fans, collectors and audiophiles alike.